Monsters that once were men? However else they might have changed, the monsters that once were men are still like men in at least one important respect. 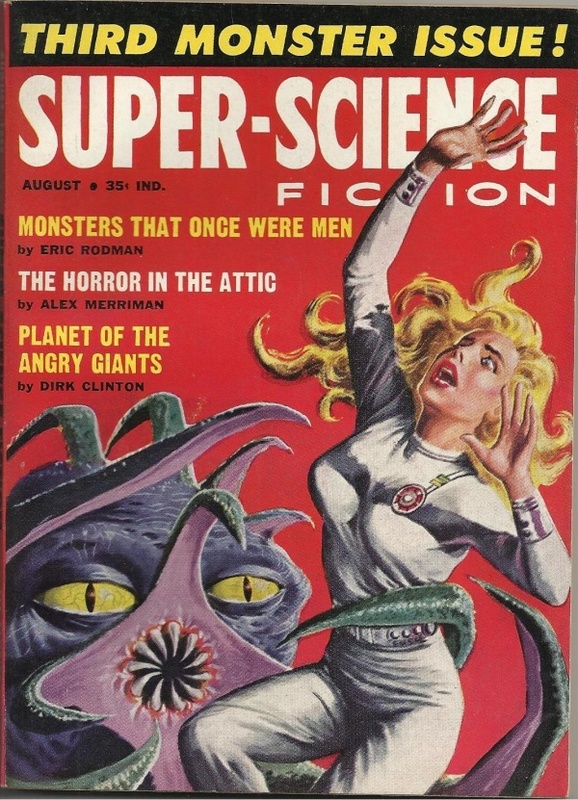 This is the cover of the August 1959 edition of Super Science Fiction, which I am reblogging from this 6 March 2016 post at Infernal Wonders, and which came into the tumblr ecosystem via this Pulp Covers post. If you’re so inclined you can read and download this magazine at the Internet Archive. And let’s not forget that the Archive is a magnificent free Internet resource supported by user donations: please donate to them if you can.